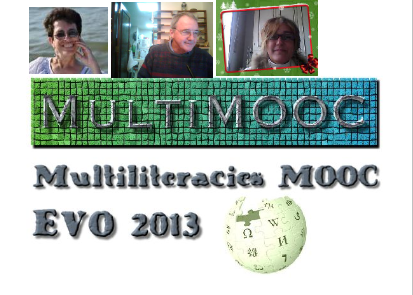 Vance Stevens, Ana Cristina Pratas, Claire Siskin discuss: What’s a MultiMOOC? MultiMOOC is one of the sessions at the annual EVO Electronic Village Online event starting next week. In this recording, one of the moderators of the MultiMOOC session discusses with participants Nina, Susanna, and Lada how this session departs from others and why we call it a MOOC.